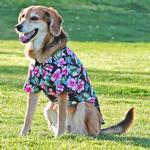 Give your pup a tropical experience to remember with the Paradise Nights Hawaiian Camp Shirt by Doggie Design. 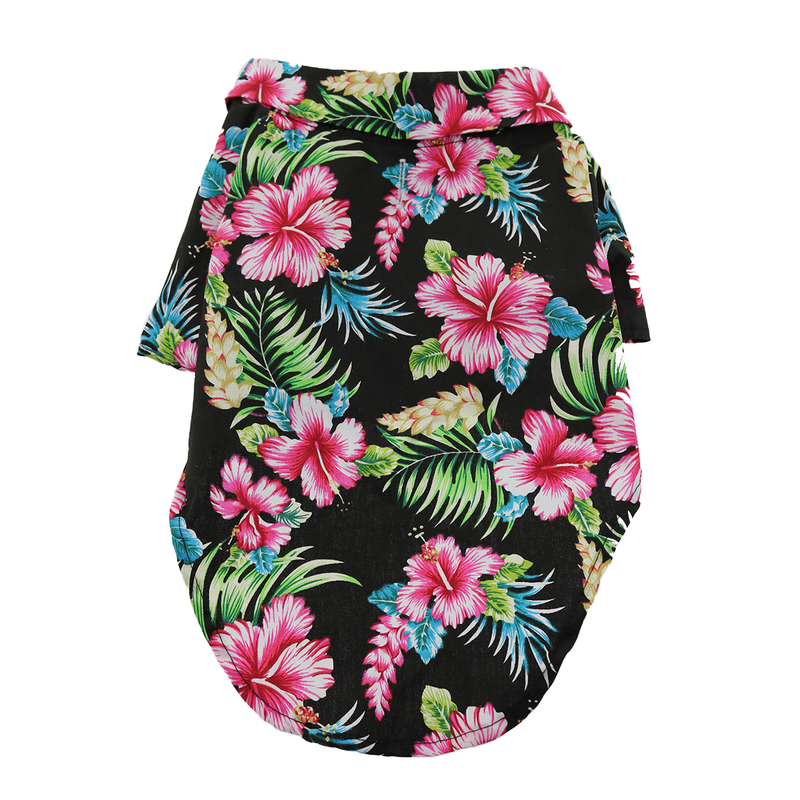 A warm tropical night, the sound of waves rolling over the sand, and a steel drum band in the distance… dress those pups in style for those warm summer nights with the Paradise Nights Hawaiian camp shirt. This is the ideal dog vacation shirt or for a Luau. 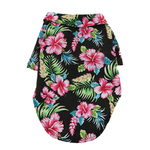 Your dog will look stylish walking on the beach or at a pool party wearing this woven camp shirt in a vibrant Hawaiian print. Our Hawaiian Dog Shirts by Doggie Design are made of 100% cotton and includes a leash hole for quick access and easy walking! Touch fastener at the chest makes this shirt a breeze for dressing and removal. Care: 100% Cotton. Hand wash and line dry for best results. Warm iron if needed. Hawaiian Camp Shirt by Doggie Design - Paradise Nights Customer Photos - Send us your photo! Charlie is loving his first Hawaiian shirt. Posted On 06/08/18 by Karen C. from Antelope, CA Yes, Karen C. recommends this product! Charlie got his first Hawaiian shirt today and he loves it. Very nice high quality items at reasonable prices.